Recently, a wide spread news that the well-known Hello Kitty is not actually a cat have broken netizens’ “childhood beliefs”. Christian R. Yano, an anthropologist at the University of Hawaii prepared a written text for the upcoming Hello Kitty exhibit at the Japanese American National Museum. L.A. Times then wrote an article regarding Hello Kitty’s actual specie. Yano’s caption said: I was corrected — very firmly. That's one correction Sanrio made for my script for the show. Hello Kitty is not a cat. She's a cartoon character. She is a little girl. She is a friend. But she is not a cat. She's never depicted on all fours. She walks and sits like a two-legged creature. She does have a pet cat of her own, however, and it's called Charmmy Kitty. 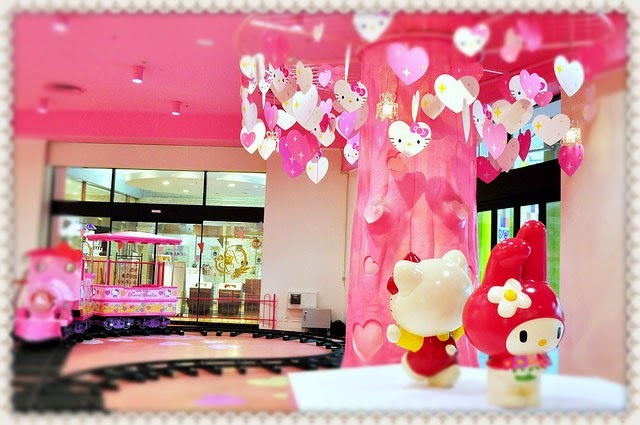 Numerous web sites also reported that Hello Kitty is not a feline after all, but a little girl. This drove outrage in some people, saying that their “childhood was a lie” jokingly. Some asked Sanrio why they had to wait for 40 years to point it out. There are also a number who refused to acknowledge the matter, saying it was foolish because the famous character has a body of a cat, with whiskers and cat ears. However, to say such claims is an oversimplification and it is actually not true. Hello Kity, Sanrio told Kotaku, is really a feline, just an anthropomorphic one. Checking what the spokesperson from Sanrio used to describe Hello Kitty, "gijinka" (擬人化), directly translates to "anthropomorphization" or "personification." Kotaku has contacted Sanrio’s Tokyo headquarters today to clarify the mix-up, asking them whether or not the all-famous character is indeed a cat. To this, another spokesperson explained that Hello Kitty was done it the motif of a cat. He also said that saying that she is not a cat is “going too far”. We can compare this case to Tom in Tom and Jerry and Mickey Mouse. Hello Kitty is not a house cat like Tom, as Mickey Mouse is not a mouse like Jerry. So to speak, Mickey had various jobs and he even has a pet named Pluto- thus creating Mickey to act like a human. But this doesn’t mean that Mickey is not a mouse, we all know that he is—which loosely is the same for Hello Kitty. Moreover, we can assume that it had been a mix-up in the headlines in L.A. Times covering Hello Kitty is a human. Although Yano stated that Hello Kitty is a girl, she never said she was human. Probing more among cat lovers in Japan, it is common for the cats to be referred to as “girl” or “boy” instead of the Japanese gender markers designated for animals such as osu for “male” animals and mesu for “females”. Using the terms “girl” or “boy” raises that status of the animal to be more than a pet and an actual member of the family. Many people were indeed surprised by the notion that Hello Kitty is not a cat, letting the story go viral. However, there have been so many animal personifications, other than Mickey, we can also relate it to Goofy and Pluto. Pluto is a dog who lives in a dog house, while Goofy is still a dog, but an anthropomorphic one. Minnie Mouse, who, like Mickey is a mouse even has a pet cat. A mouse having a pet cat is absurd! Yet, we all know that Mickey, Minnie and Goofy alike are not real animals; but we don’t have to believe that they are not mice or a dog still. We can just say the same for Hello Kitty.